23,000 FEMA trailers deployed to just N.O. alone. 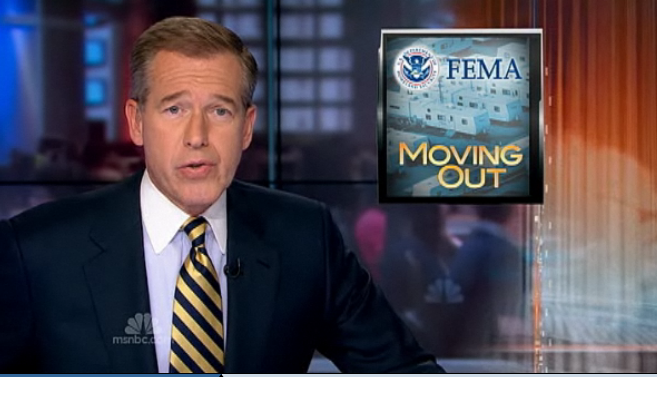 All occupants have a more permanent residence – NBC announced today February 15, 2012. Gosh, that only took 7 years. And these local people were busy telling me that Katrina was over in October 2005. I haven’t visited or posted to this blog in quite some time – 11 months to be exact. I tried to access a few links like the Hurricane Katrina Fact Sheet from Barack Obama’s website. Of course, it is 404. How soon we forget? Scribd has this to offer. I liked the idea of Louisiana telling off FEMA. Even if it is subliminally & metaphorical, “reduce reliance on FEMA”. I’ve missed my Louisiana blogs…. I’ll be dipped if we are not back to a Presidential Propaganda year. Normal is not below 80*. Normal is not rain that sprinkles daily. Normal is not my pillow. Normal is not my yard. Normal is not my flower bed. Normal is not my grocery store. Normal is not mine anymore. Normal is not the National Guard parked outside. Normal is not the crime rate. Normal is not living here. Normal is not at home. Normal does not live here. Normal is not my school. Normal is not my school board. Normal is not my new friends. Normal is not my neighbor. Normal is not the formaldehyde level. Normal is not my shoes. Normal is not my furniture. Normal is not my memory. Normal is not the trees. Normal is not the bus. Normal is not the radio stations. Normal is not the latitude or longitude or wind speed. Normal is not the Road Home. Normal is not my local Government. Normal is not my Federal Government. Normal is not my levee. Normal is not my canal. Normal is not my city. Normal is a sense of humor. Well, five years ago I could tell you EXACTLY what it looked like. I didn’t move out from underneath that couch – stuff was whiz banging all around. It looked like that see through canister inside your vacuum cleaner.